Mitochondrial DNA (mtDNA) mutations could contribute to aerobic performance, since they provide information to generate aerobic ATP energy by oxidative phosphorylation (OXPHOS) in their respiratory chain. 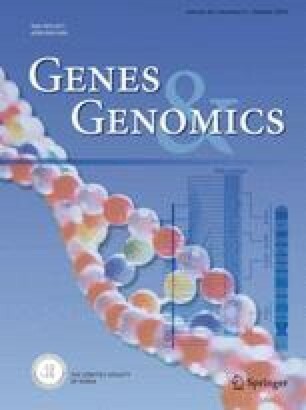 Owing to haploid and absence of recombination, specific mutations in the mtDNA genome associated with human exercise tolerance or intolerance arise and remain in particular genetic lineages referred to as haplogroups. Recent studies have suggested that certain mtDNA lineages were associated with individual differences in trainability and physical capacity, but their origins and replicate test remain to be elucidated. We have therefore analyzed mtDNA haplogroup B variants to assess the possible role of the lineages to differences in elite athletic performance in a population-based case-control study in Cheonan, Korea. We demonstrated a significant negative association between mtDNA haplogroup B and the status of elite endurance athlete [n=378, odds ratio = 0.37 (95% CI: 0.14–0.97, p = 0.016)]. Thus, our results imply that specific mtDNA lineages may provide a significant effect on elite Korean endurance status, although larger sample sizes functional studies are necessary to further substantiate these findings.